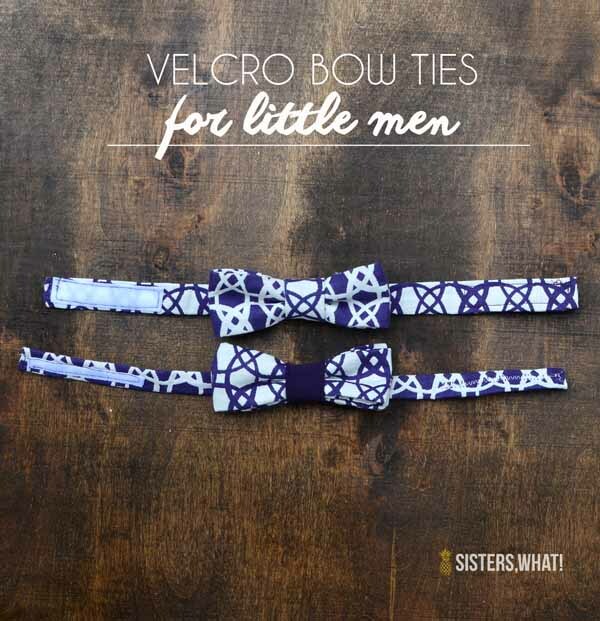 ' Velcro Bow Ties for Little Men - Sisters, What! My older sister just got married about two months ago and even though I totally wasn't planning on making anything for my fam to match with, I ended up finding some really fun purple apparel fabric at Joanns. I wanted to make me a dress out of it, but it was a wooping $30!! Even with a 50% off coupon, that was too much for a dress. But a 1/4 of a yard is totally affordable (with a coupon) and would be perfect for velcro bow ties for my two little men. And seriously, aren't these two boys so cute! I just couldn't get enough pictures of them. They wore them for like the next 4 Sundays. I also ended up making a dress for me (more on that in another post soonish). 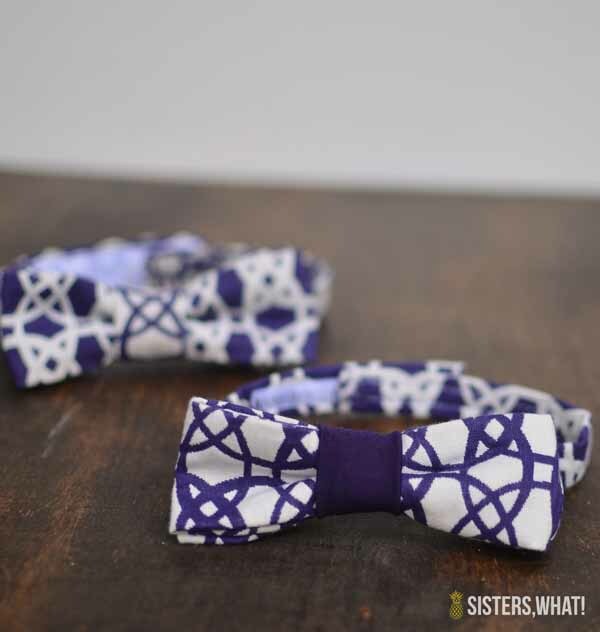 With left over fabric from my dress, I did one of the bow ties with a purple center. Captain Awesome was surprisingly opinionated on the matter (this is the boy who prefers to wear pjs all day if I let him) and picked the purple centered one. I've made many fake bow ties using velcro neck bands. I've tried the elastic for neckbands, but they just don't hold up for long and there's just something about the elastic squeezing their little growing necks that bothers me. 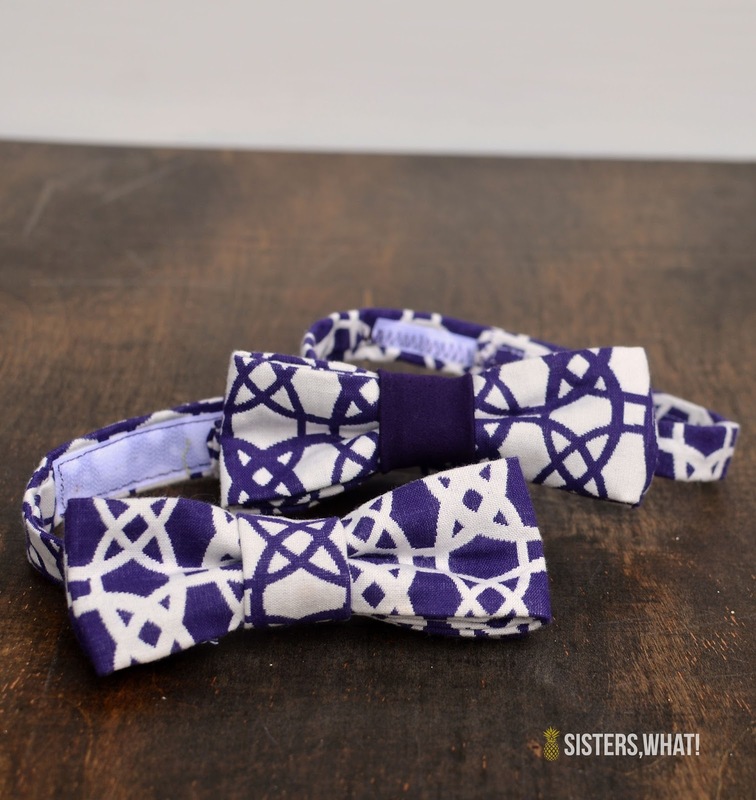 This time round, I happen to come across a bow tie tutorial from the Sewing Sessions blog and thought I'd try that one out. It's a pretty good tutorial and totally straight forward. 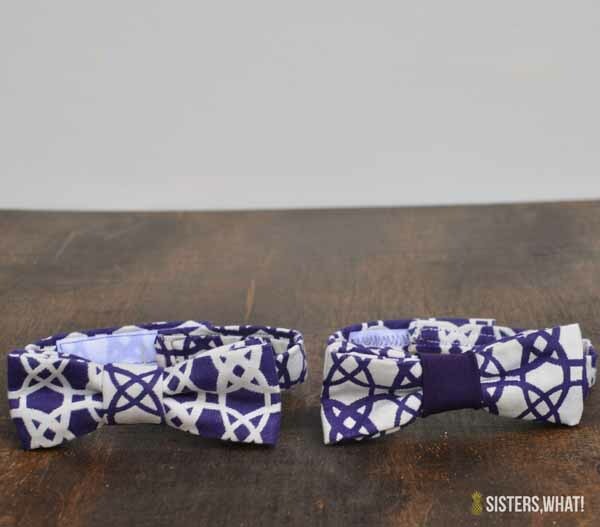 These bow ties were meant for little guys, so I just made them a little smaller from her measurements. Instead of using a snap, I did velcro. I make my velcro a little long so that they can grow with the boys.